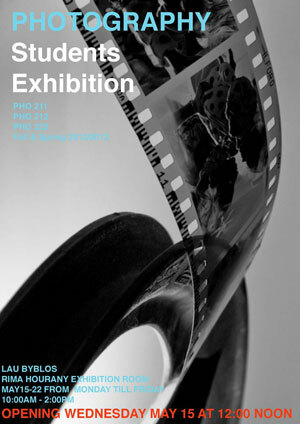 The Fine Arts and Foundation Studies Department is proud to present the opening of the Fall 2012 and Spring 2013 Photography Students Exhibition. The opening will take place on Wednesday May 15 at 12:00 p.m. The exhibition will be open daily from 10:00 a.m. to 2:00 p.m from May 15 to 22.